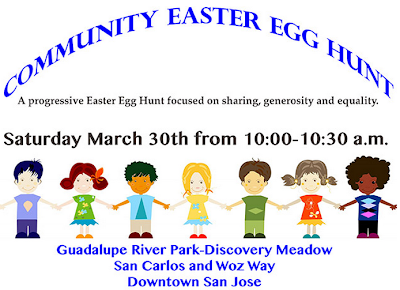 Tomorrow from 10am-10:30am, bring your Easter baskets to Discovery Meadow for a free Easter Egg Hunt. The focus this year will be on sharing, generosity, and equality. The event is happening rain or shine and the hosts are also giving away prizes. For more info, just click here.